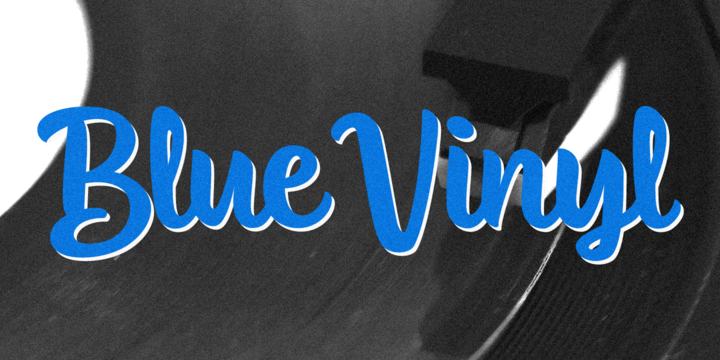 Blue Vinyl is a brush-drawn typeface created by Jess Latham and published by Blue Vinyl Fonts that contains opentype features. This handwritten typeface has two styles: Regular & Bold. A font description published on Wednesday, December 11th, 2013 in Blue Vinyl Fonts, Fonts by Alexandra that has 3,510 views.